Pupils at Elm Park Primary School in Winterbourne are the first to receive free bicycles through a new scheme called Bikeability Recycled. The recycled bikes were presented to three pupils at Elm Park Primary School in Winterbourne on Monday 18 January by South Gloucestershire Council’s road safety team. The bikes are gifted to pupils without access to one of their own, to enable them to take part in Bikeability cycle training. The road safety team have been collecting used and unwanted bikes from local schools and with the support of SUEZ, the council’s waste and recycling contractor, from Sort It recycling centres. Qualified bike mechanics within the council’s cycle training team then refurbish and make the bikes roadworthy, before they are redistributed through schools to people in the community without access to one. By providing families with better access to bikes, it is hoped more children will take part in Bikeability training and make cycling part of their life. Planning, Transport and Strategic Environment Chair Cllr Colin Hunt said: “All schools in South Gloucestershire are offered free Bikeability cycle training by us through their school, however sometimes we are not able to provide this service to all children because they do not have their own bike. By refurbishing and redistributing these bikes to local school pupils we are hoping that more people take part in our cycle training. 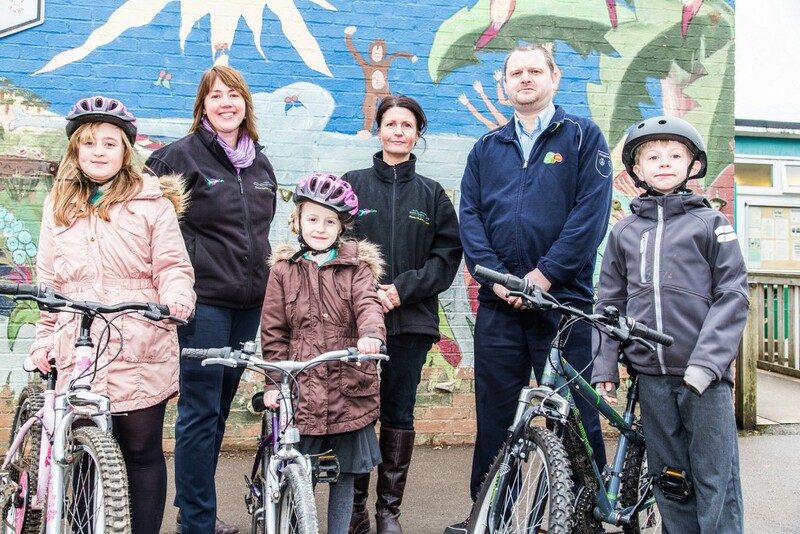 Bikeability Recycled is being trialled in South Gloucestershire following recent grant funding from DfT, with a target of around 50 bikes to be refurbished and rehomed by the end of March 2016. To date 25 bikes have been donated and refurbished and five bikes have now been delivered to two schools in the area – three at Elm Park Primary School and two at Longwell Green Primary School. Bikeability courses improve students’ on-road riding abilities, and aim to make them more road aware. To get their Bikeability award, students are instructed on how to ride their bikes to the government-approved National Standard for Cycle Training, which sets out the training and skills essential for making cycling trips on roads. Courses are available during school time and also during the school holidays.